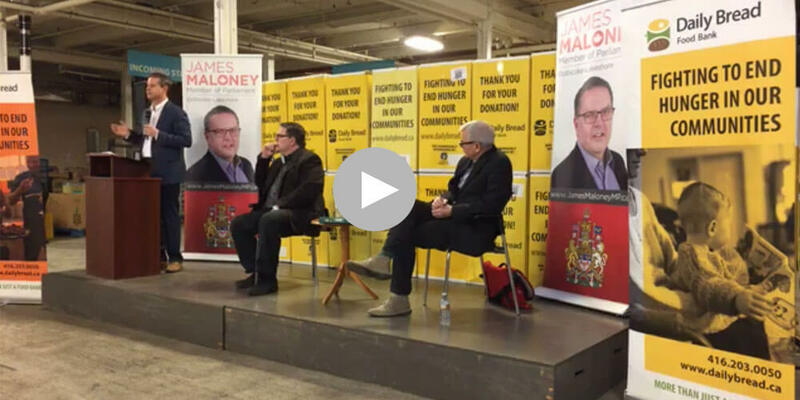 On March 15, 2018 Daily Bread and James Maloney, MP for Etobicoke Lakeshore, hosted a Town Hall discussion about affordable housing with special guest Adam Vaughan MP for Trinity Spadina and Chair of Advisory Committee on Homelessness. 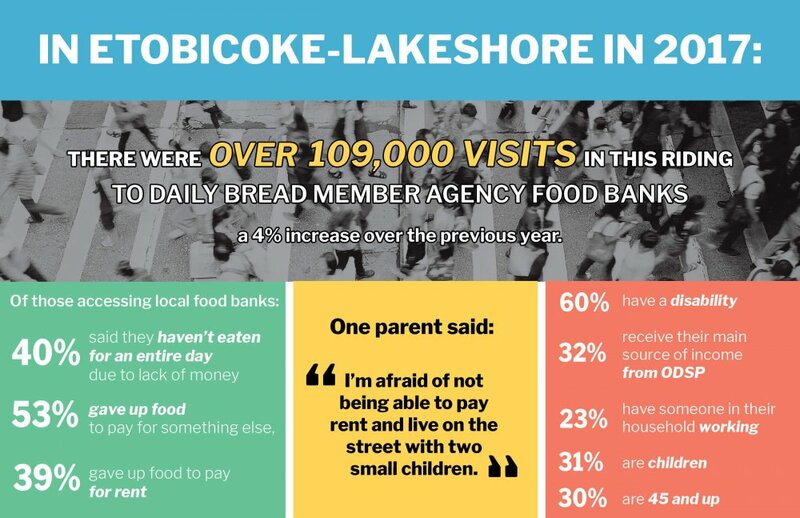 Adam Vaughan presented the federal government’s long term housing strategy, and the audience – many of whom were from the Etobicoke-Lakeshore neighbourhood – asked some great questions about how this strategy would help address the lack of affordable housing in our communities. The evening ended with a message from John Zarei, CEO of Point-Alliance, a corporate donor to Daily Bread. All in all a fantastic night! Click on the thumbnail below to watch the full Town Hall video!